Home > Blog > Who can spot Coco? Out on a very cold moor first thing this morning with Holly & Ivy, Rudi & Sheulie, Kellie, Herbie and Coco. 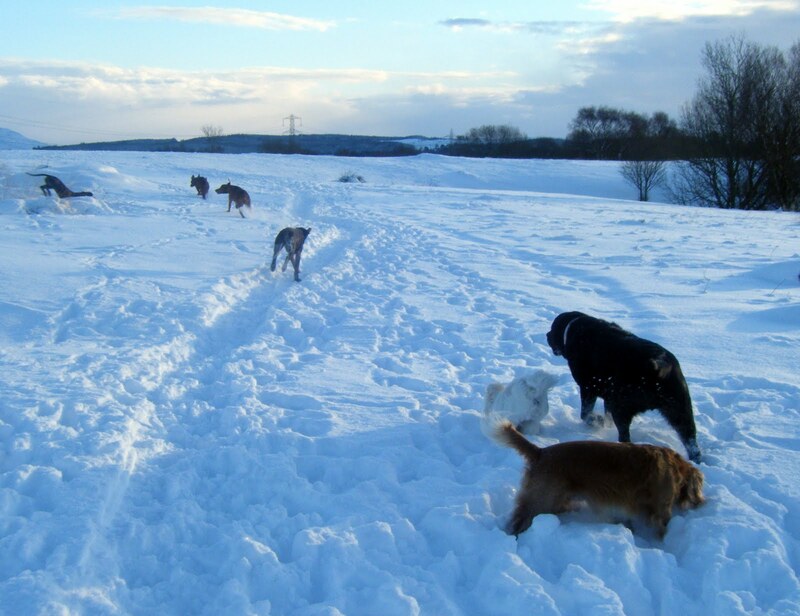 All the dogs are in this photo, but Coco with her pure white coat has vanished! !